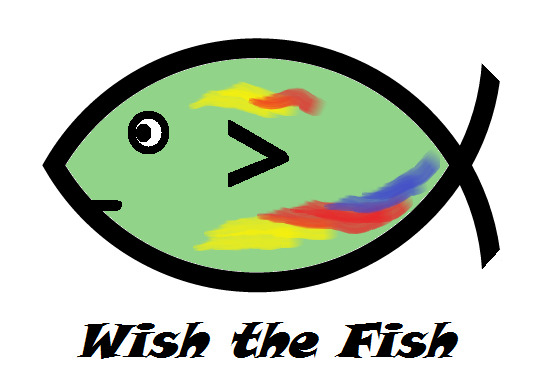 a little fish wished he could rhyme. and brought so much calamity. Blue, red, yellow - oh, and greenish. but sometimes gave too much advice. Wish thought, so crude, the meals she stewed. They tasted more like people food. But mom said, "Eat. Eat ev'ry bean." Just eat until your plate is clean." was wrong, Wish thought. He seldom ate. then hid it when she wasn't lookin'). and emptied all mom's cookie jars. The next day, ohhh, the stomach ache! And then mom offered cream and cake. and wished he'd taken her advice.